France, Australia and Argentina used this configuration - interestingly they seem to have mounted the angle adapter slightly differently on the pylon. The Argentinian Matra Magics sit a little further forward than the Australian. The CES-1 pylon and ADP-1 angle adaptor are in resin (hence the casting block!). 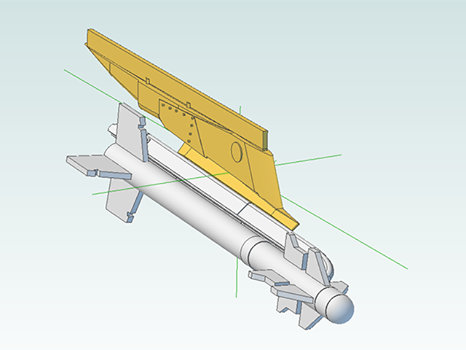 The LM40 rails will be in 3D printed polymer.